Kassianov E, M Pekour, and J Barnard. 2012. "Aerosols in central California: Unexpectedly large contribution of coarse mode to aerosol radiative forcing." 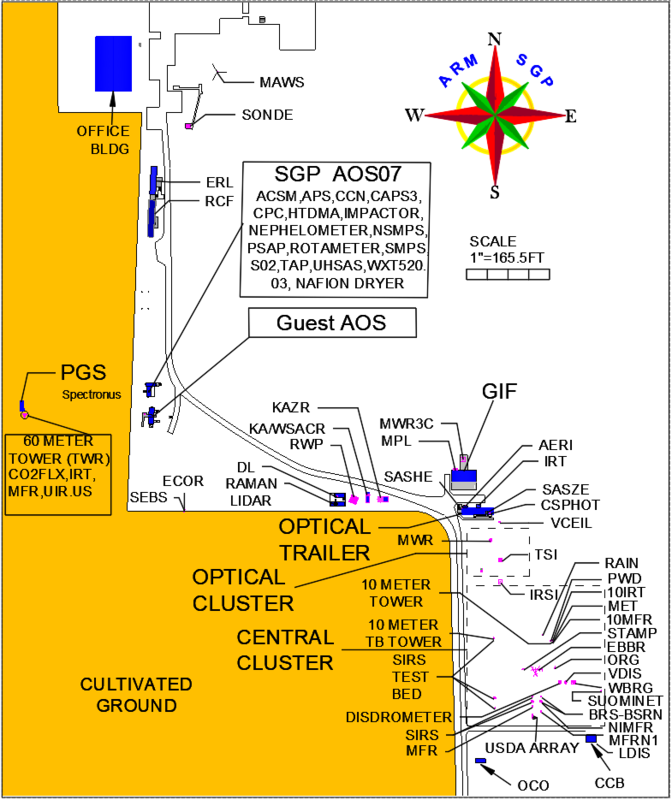 Geophysical Research Letters, 39(20), L20806, 10.1029/2012gl053469. A few large particles in a crowd of tiny ones have often been ignored when calculating the amount of sunlight bounced back into space in clean-sky conditions. DOE scientists at Pacific Northwest National Laboratory found that these “giant” particles have a larger-than-expected impact on the amount of sunlight reflected away from Earth, by as much as 45 percent. They also showed that particles larger than one micron (0.000039 inch) occur much more frequently than expected, up to 85 percent of the time. The majority of previous studies dealing with the effect of coarse mode aerosols (supermicron) on the radiation budget have focused primarily on regions where total aerosol loadings are substantial. Researchers reexamined this effect for a relatively clean area using a unique 1-month data set collected during the recent Carbonaceous Aerosols and Radiative Effects Study (CARES, June 2010) in the central California region near Sacramento. They defined “clean” as aerosol optical depths less than 0.1 at 0.5 micron. The data analysis revealed surprisingly large and frequent contributions of large particles to the total volume of aerosol particles. Co-incident ground-based and aircraft data collected at and above two sites verified the existence of large particles. The team used state-of-the-art radiative transfer calculations on the CARES data set to show the large aerosol particles’ effect on the amount of sunlight reflected back into space. They found the large particles had an unexpectedly significant influence on the amount of reflected sunlight. The findings highlight the potential for substantial impacts of coarse mode aerosols on radiative properties over clean areas and the need for more explicit inclusion of coarse mode aerosols in climate-related observational studies. This new study shows that in clean air, just a few, larger particles have a much greater influence on reflected sunlight than previously thought. It is expected that revealing the true nature of these “giants” suspended in the atmosphere will improve models that predict how the climate will react in all conditions. Daily averaged values of (a, b) the direct aerosol radiative forcing (DARF) and (c, d) aerosol radiative forcing efficiency at the top-of-atmosphere calculated for the “original” aerosol optical properties (blue) and their PM1.0 (red) and PM2.5 (green) counterparts at the CARES (left) T0 and (right) T1 sites. Mobile ground-based laboratory and the G-1 research aircraft-measured aerosol properties during the recent Carbonaceous Aerosols and Radiative Effects Study held in June 2010, in central California near Sacramento. Clean conditions were observed mostly during CARES campaign (left). After-campaign period: The Sacramento Valley and the Sierra Nevada mountains are obscured by heavy haze (right). Photos courtesy of the U.S. Department of Energy’s Atmospheric Radiation Measurement (ARM) Climate Research Facility.